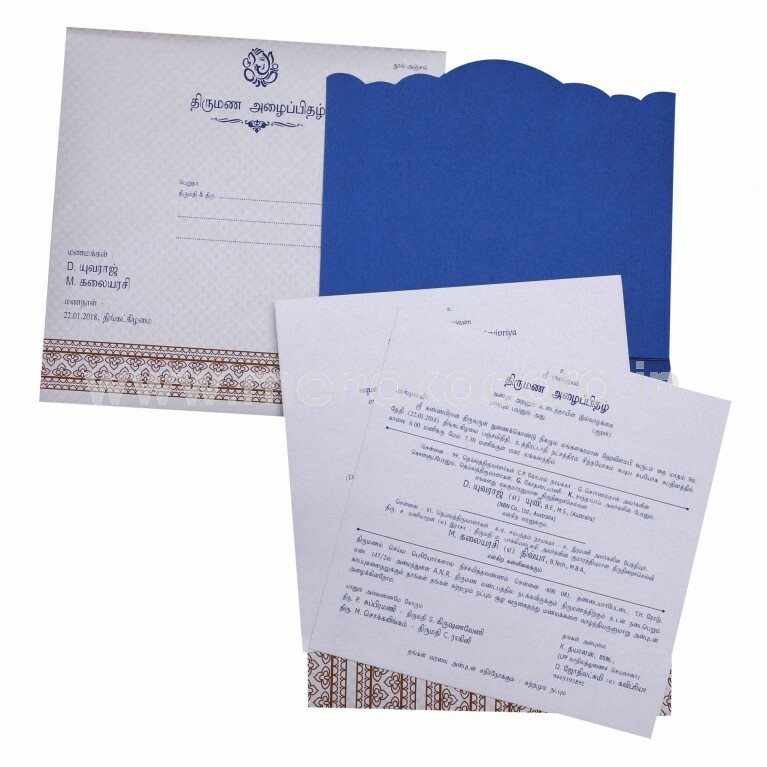 This alluring matt finish blue card has a modest charm that appeals to the younger generation for personal invitations to friends and colleagues for weddings, receptions and engagements. This Laptop folding card is made from a gold shimmer board printed with ink deep blue floral damask lancer designs on a electric blue shimmer board on the main flap of the card, which also has a delicate scalloped die-cut topping and a rich gold foil ornament design for the names of the bride and groom. The card opens to reveal two off-white inserts inside the cardholder with contrasting text. 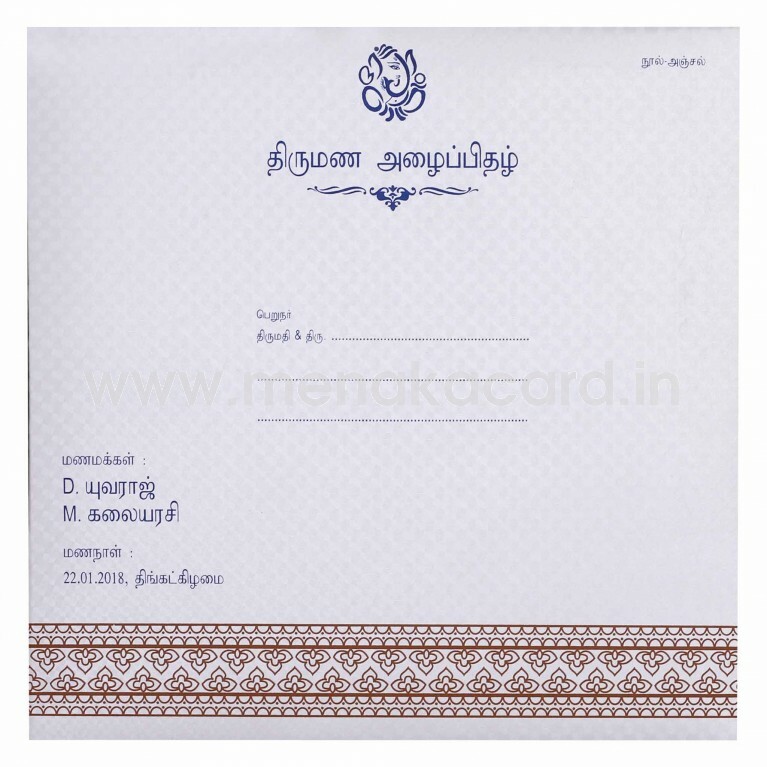 The envelope is made from the same off-white board and has a classy border design with the same floral lancers and an elegant rendering of the initials of the couple in blue. 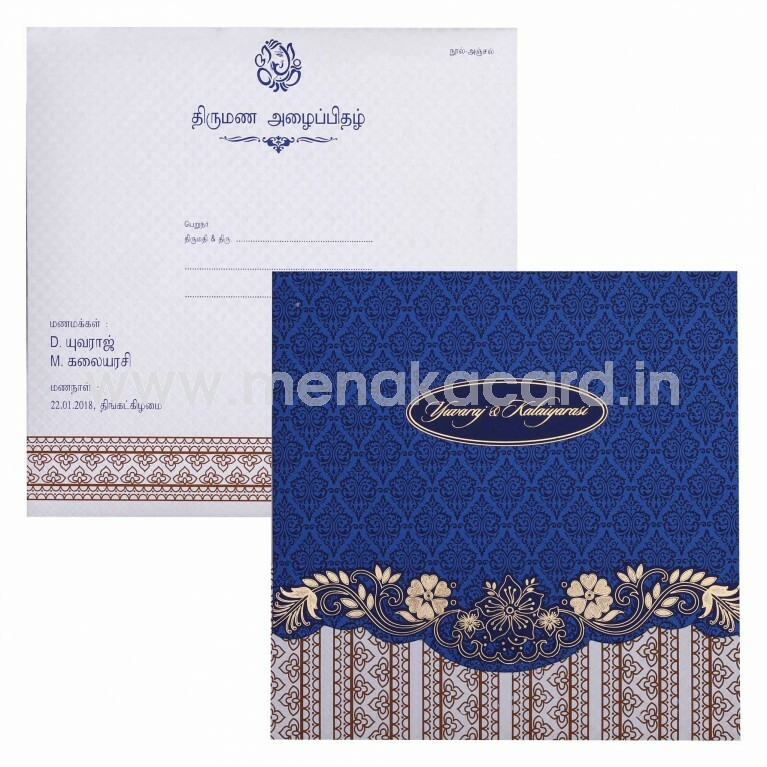 This can also be used for Christian and Muslim weddings, Housewarming and other functions.